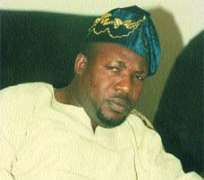 National President of the Actors Guild of Nigeria (AGN), Ejike Asiegbu, has allayed fears about the crisis in the guild. Ejike, who has been dragged to a Lagos High Court by some aggrieved members who claimed that his tenure expired two years ago, reiterated that there is no crisis whatsoever in the guild. “All I know is that I'm still the National President and the real members know that. I don't bother myself about what these mediocres are saying, they actually don't have a point. Besides, the man that is spear-heading the noise is a suspended member of the guild and the facts are here,” Ejike said.